In the 2016 Styx performed with Cleveland’s Contemporary Youth Orchestra and that brilliant performance was captures on the film One with Everything: Styx and the Contemporary Youth Orchestra. The CYO is no stranger to working with rock musicians and have played with the likes of Kenny Loggins, Graham Nash, Pat Benatar and Melissa Etheridge. Backstage at Cleveland Styx show, conductor Liza Grossman reminded Tommy of the approaching 10th anniversary of that performance and the ball was set in motion for round two. Filmed at the Waetjen Auditorium at Cleveland State University between May 15-17, Sing For The Day! is not simply “more of the same”. The songs selected covered all of Tommy career ranging from Styx to his solo work and also some tasty highlights from the Damn Yankees. As if a different set-list wasn’t enough, these songs were done in a much more organic way. 115 young musicians comprised the orchestra and choir and these kids played their heart out to songs that quite frankly are all older than they are. For fans of Tommy’s writing this is paradise (yes pun intended). You are going to see “Girls With Guns” at any big summer show….well ever. 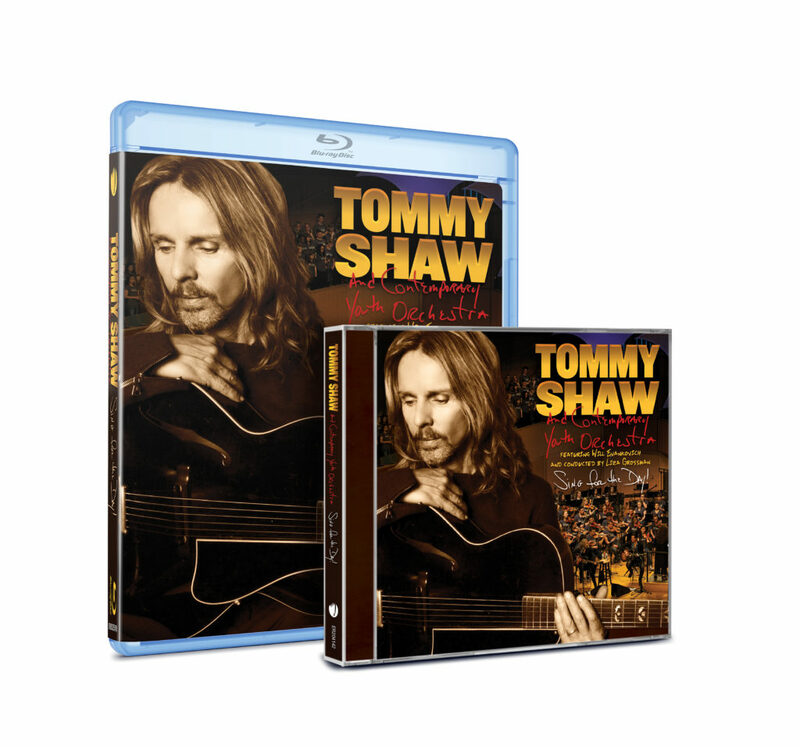 Tommy couldn’t resist putting electric guitar solos into the songs which might offend “unplugged” purists but musicians will really enjoy how isolated the guitar is and how you can hear his playing so clearly. The real stars of the show though are the young men and women who spent untold hours learning their instruments. The venue was filled with what had to be extremely proud parents. If nothing more, this is a beautiful keepsake.